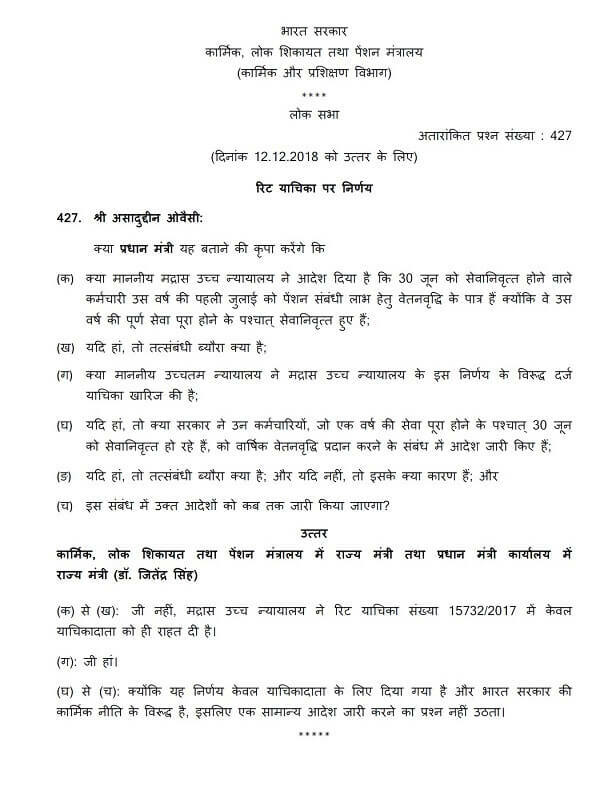 (f) the time by which such orders are likely to be issued in this regard? (a) & (b): No, Madam. High Court of Madras in Writ Petition No. 15732/2017 has granted relief personal to the petitioner. 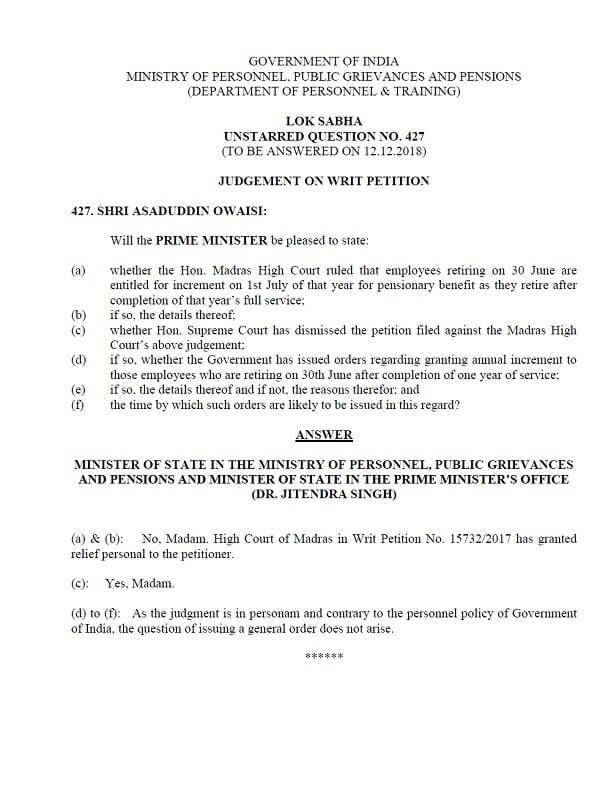 (d) to (f): As the judgment is in personam and contrary to the personnel policy of Government of India, the question of issuing a general order does not arise.